A circular economy is where environmental sustainability is an integral part of the economy. The term was coined in the 1989 book Economics of natural resources and the environment but it was not until the 2010s that it was considered as a replacement for the established linear economy. The European Commission, often on the forefront of progressive environmental policy, began discussion on a circular economy for the European Union in 2012. In New Zealand the circular economy was not on the agenda of the Fifth National Government but the Ministry for the Environment had included it in their 2017-2021 four year plan. The Sustainable Business Network began work on the circular economy concept in 2015 and launched the Circular Economy Accelerator two years later. Some work is also happening at the Auckland Council, the largest local government organisation in New Zealand. 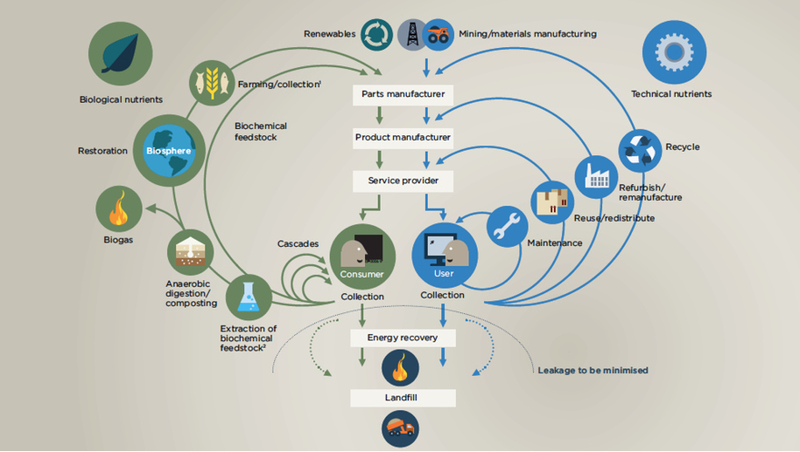 A circular economy is characterised by circular material flows.